We care about every one of our customers and the health of their eyes. Your vision is our business and we strive to provide the highest quality of care for you and your family. We know that purchasing eyewear is a highly personal and important decision for you and we have a great variety of shapes and styles for different tastes. We carry designer frames and sunglasses. We also have options to press your lenses (to make them thinner) and tints and shades that can protect your vision from the sun’s UV rays. Quality level of Care in Examining the Health of your Eyes and Vision. Wide selection of Designer and non-designer frames. Choices of Thin/Lightweight lenses, Photo-Chromatic and Tinted Lenses. 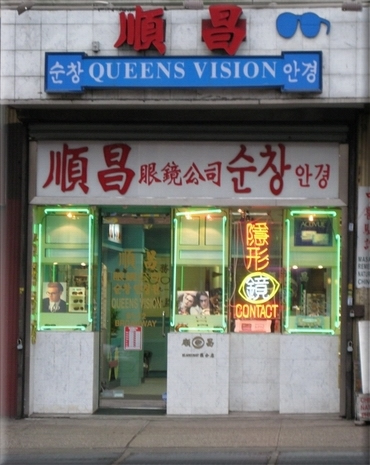 Come visit us today and have your eyes examined. You should have your eyes examined every 12 months. Copyright © 2019 Queens Vision Center.